The Lenskoye Gas Pipeline Operation Center (GPOC) of Gazprom Transgaz Tomsk turned five years old. Established in 2013, it was the first structural unit of the company in the Republic of Sakha (Yakutia). 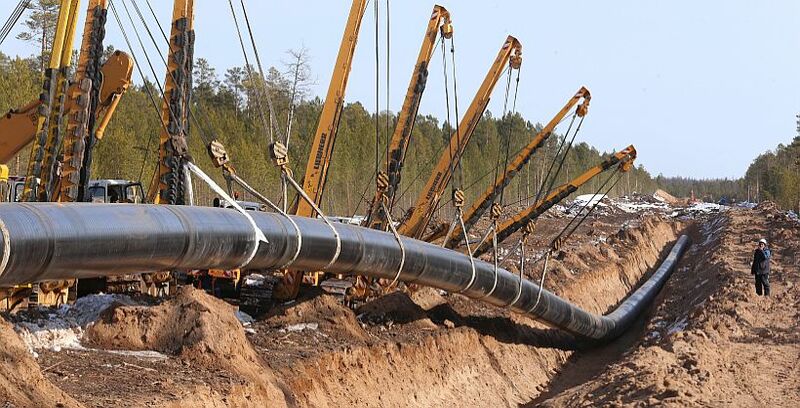 The achievements made since the unit’s inception are numerous, including a completed section of the Power of Siberia gas pipeline connecting the Chayandinskoye field to Olyokminsk and a nearly-completed industrial base with a camp for shift workers. The Lenskoye GPOC, its staff mostly recruited from among the locals, is now a full-fledged part of Gazprom Transgaz Tomsk’s corporate family. At present, the Lenskoye GPOC is responsible for the following sections of the Power of Siberia gas trunkline: kilometer zero – 207th kilometer (Chayanda – Lensk), 207th kilometer – 301st kilometer (Lensk – Ivan Rebrov CS-1), and 301st kilometer – 365th kilometer (Ivan Rebrov CS-1 – Pyotr Beketov CS-2), as well as for 30 block valve stations. The GPOC conducts its activities in harsh climatic conditions: low winter temperatures and permafrost with many wetlands, short summers and no roads. As soon as Power of Siberia is brought to its full capacity, the GPOC will operate and maintain more than 700 kilometers of the gas trunkline (including a 200-kilometer section from the Kovyktinskoye field in the Irkutsk Region to the Chayandinskoye field in Yakutia), as well as two compressor stations.